Punchtime is a smartphone app that communicates important information related to daily operations. The platform collects and manages timesheets, task logs and project communications to keep both you and management informed. Users will benefit from having accurate details of all hours worked from their phone and can ensure that all hours worked are paid correctly. Employees also own their records and will always have access, even if they change employer. This adds transparency and avoids HR issues experienced by union members earlier this year at a Baltimore prison. They saw their pay cheques shorted by management and then did not have their own records to prove what they had worked. Punchtime is a small, award-winning technology company located in Ottawa, Ontario, Canada. The company is known for its high ethical standards and secure encryption of collected data. Punchtime does not sell or share any data that it has collected. Punchtime is in constant innovation mode and working towards new features that will help achieve even safer and smarter worksites. Does this application track an employee’s every move? Punchtime collects time and location services with the employee’s voluntary consent, only during working hours. After clocking out, the application no longer has access to an employee’s whereabouts; it does not continuously track users. No data is shared from the app when a user is punched out. Does it have access to other apps on my phone? At any given time, Punchtime cannot view other applications running on a user’s mobile device. What personal information is required to create an account? It’s simple, only a name and password is required to setup an an account. Do employees have to pay for Punchtime? No payment information is exchanged as the application is free for employees. How does it offer smarter timekeeping? Punchtime understands you’re busy; companies don’t want added tasks. With this application, your company’s head office no longer needs to spend so much time on collecting time sheets and manually calculating payroll. Employees are responsible for logging their own hours, ensuring transparency, accuracy and fairness. Is it easy to correct errors? 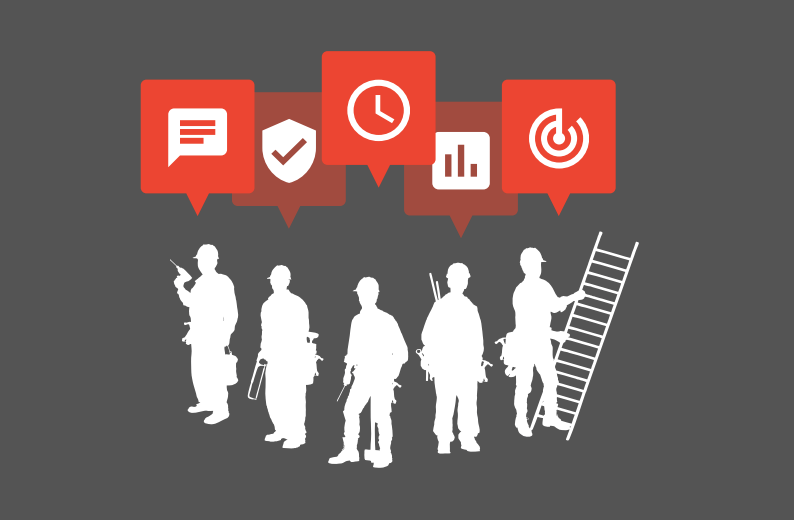 Though Punchtime is automated, employers are able to make changes that are visible to employees in real time. Does Punchtime work on all phones? Punchtime is compatible with all desktops and laptop computers. It’s also compatible with smartphones and tablets which run iOS or Android operating systems..
What happens if I have no reception? Punchtime will store the information locally on the phone and update once a signal has been restored. How much data does the Punchtime app use in a typical month? Using Punchtime on a daily basis will consume, on average, 5-10MB of data per month. Will Punchtime drain my battery? Punchtime does not continuously track the user. This significantly reduces the power needed to run the app. Yes, all data is encrypted and transmitted over Secure Socket Layer (SSL) which is a standard security technology for establishing an encrypted link between a web server and a browser. Got more questions? We’re here to help!